Steel Storage Tank Parts & Accessories Available Direct! 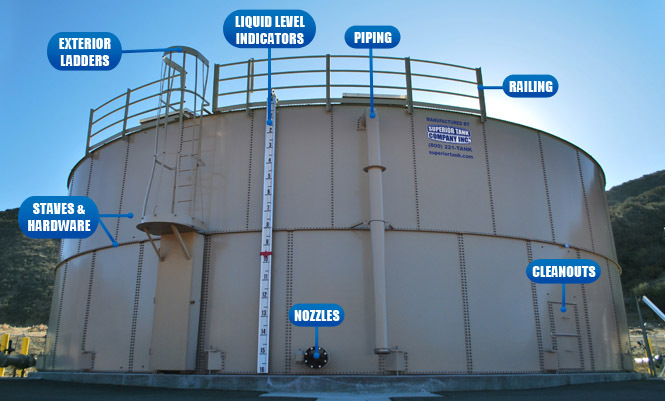 Superior Tank Company Inc. provides numerous components and parts including structural components, safety apparatuses, tank appurtenances and tank operation equipment for welded steel storage tanks and bolted steel storage tanks. We supply custom structural components to fit many different steel tanks. For welded steel tanks we can provide seismic anchors, roof rafters, center poles, gussets, steel patch plates for tank bottoms, roofs and shells. For bolted steel tanks we manufacture replacement staves, tank bottoms, roof sections, roof rafters, center poles, anchor chairs, gaskets and hardware. In addition to structural items, we also supply tank safety equipment such as interior ladders, exterior ladders, ladder enclosures, Saf-T-Climb fall protection systems, tank platforms/bridges and spiral staircases. Superior Tank can provide new parts such as uni-tank flanges, cast iron flanges, nozzles, hinged or unhinged shell manways, cone deck manways or roof hatches. We also offer other general tank accessories including new or replacement weir boxes, manway cover davit arms, standard or frost free roof vents, full or half travel liquid level indicators, sample tap level gauges and multi-line sample boxes. Most tank parts and accessories are available in several finishes and materials including durable factory powder coating, hot dipped galvanized, unfinished carbon steel or stainless steel. Our State of the Art facility allows us to precision manufacture OEM and custom parts to exact specifications. 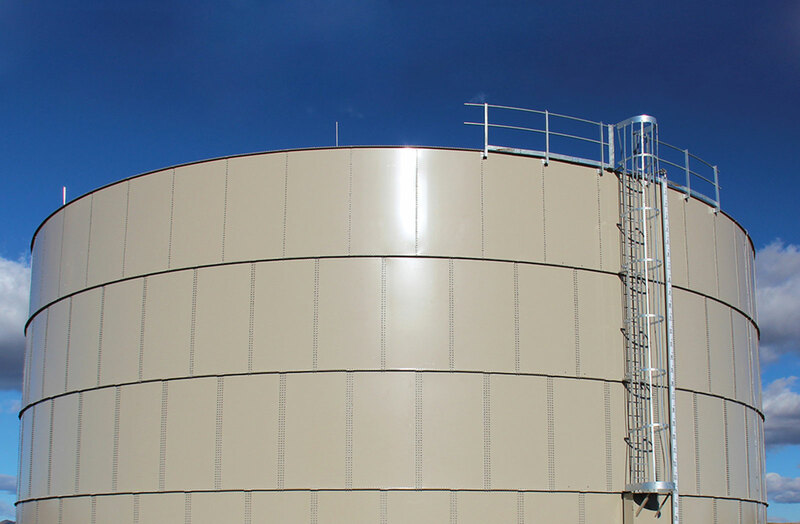 Our parts and components are specifically designed for various applications such as potable water storage, storage of water for fire protection, wastewater storage and oil storage. All parts and accessories Superior Tank manufactures and sells meet the latest standards for the relevant tank design such as AWWA D103, AWWA D100, NFPA, API as well as OSHA.When new or replacement steel tank parts or equipment are needed, Superior Tank can help! Changes to ladder safety requirements have arrived! Fire Season is coming soon! © 2019 Superior Tank Co., Inc. - All rights reserved.